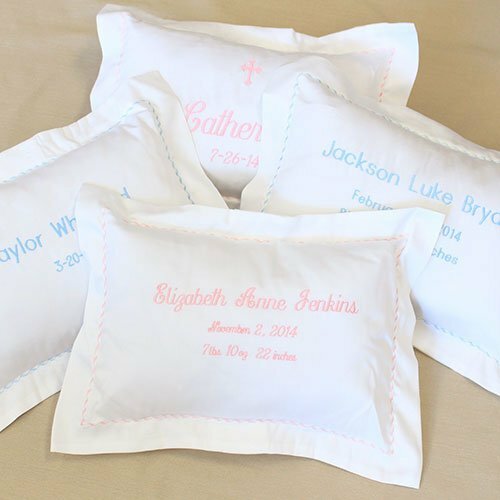 Christening Ideas for gifts, gowns, party decor, cake and more! Get your scrolling fingers ready! This page is overflowing with fun Christening ideas that will make this special day one to remember! We have come up with creative Christening decorations, cake ideas, gifts, gowns and patterns, poems, graphics and more! What is "The Difference Between Baptism and Christening?" Baptism - the ceremony of admitting a person into Christianity. Christening - the act of baptizing and giving a name to an infant. After the ceremony, close friends and family usually gather for a reception. 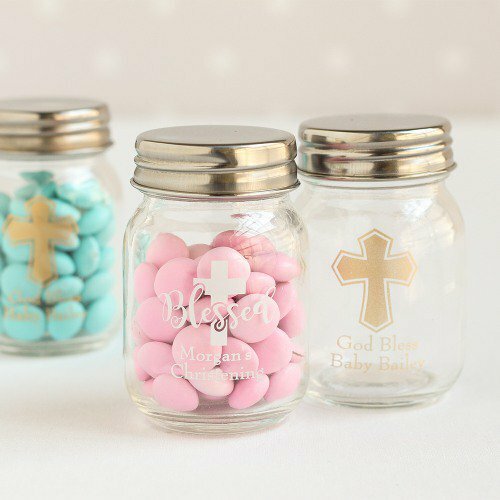 Guests can bring special gifts such as keepsakes, money, and personalized items to honor the baby. Some meaningful Christening gifts for boys might include a special plate, cup and saucer set; A silver cup or spoon that have been personalized with their name and Christening/Baptism date; A special blanket; A classic children's book. 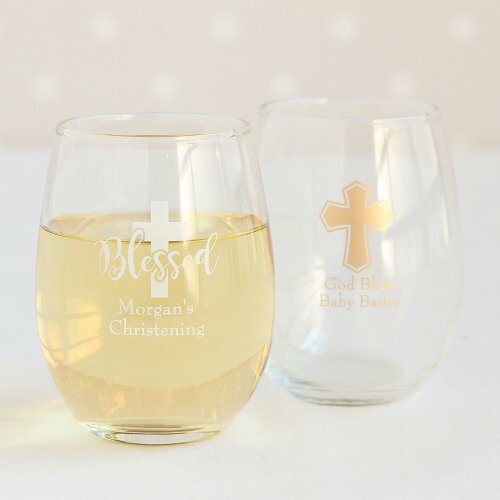 Some great Christening gifts for girls are a special dress, a soft baby blanket that has their name monogrammed on it, a bible, baby Christening jewelry such as a pearl necklace or bracelet; a silver spoon, cup or saucer. 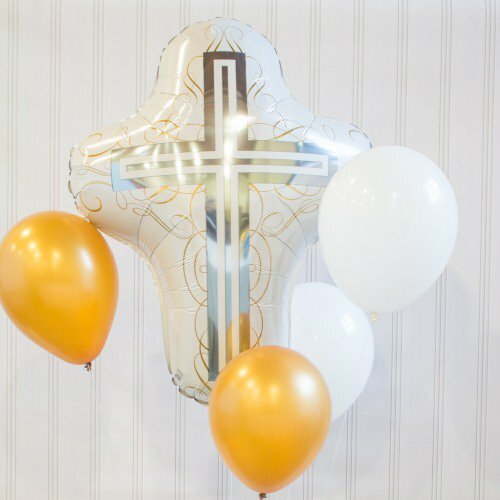 A Christening party or reception can be as fancy or as low-key as you wish. We have come up with a bundle of ideas for Christening decorations, centerpiece ideas, food, punch, cakes and more! We found some beautiful and inspiring Christening poems and quotes to use on Christening invitations, cakes, or print and frame them and place on the food or gift table. And live in His sweet grace. You can find beautiful baby Christening dresses at ChristeningGowns.com. They have an adorable selection of baby girl and boy Christening outfits. This is one of the cutest sites we have seen!